With Elk season right around the corner we thought it would be cool to show a short treestand elk hunt courtesy of our good friends at Summit Treestands. This clip, taken from Summit’s new TV show on the Men’s Channel, shows a bowhunter hunting free-ranging elk from a Summit treestand in Colorado. He makes an awesome shot and collects a fine 6x7 bull elk. Summit’s new TV show has a terrific format which we’ve condensed here for web content. 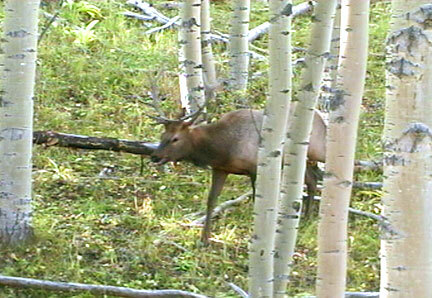 Rather than talk about it, check it out for yourself with this elk bowhunt …. Wyoming “Trophy’s Plus” abounds with whitetail and mule deer as well as antelope. 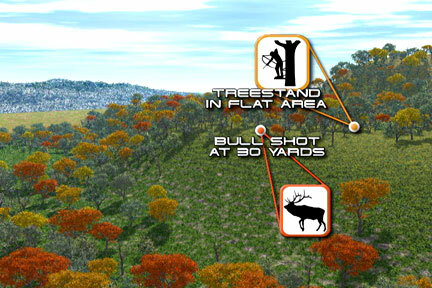 Learn “the ways of the whitetail” as the crew lays out the details of the land. Devil’s Tower and Mount Rushmore provide a scenic backdrop to an exciting hunt with strategic implications for hunters everywhere. Will Woller guides the viewer on a Class-A whitetail excursion. 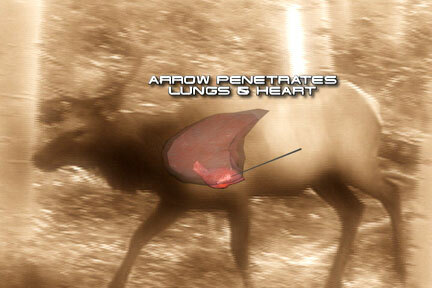 Also Harlan Haight reveals the secret pathways of the Rocky Mountain Elk. Visit Colorado elevations topping ten thousand feet. Knowing their travel corridors allows Harlan to position himself in just the right location for a shot at elk-hunting glory. Learn the tricks to consistently intercepting these huge mammals during the early fall. We join Lou Horn for Tennessee whitetail hunting with bow and arrow. The focus is on White Oak trees and their acorn crop. Understanding the mast crops and how deer relate to them is critical to locating animals when the hunting season begins. Preparation for this hunt began in late summer and culminated in October. Learn all the details. Also Will Woller shows us how Oaks and Persimmons factor into successful mid-south whitetail hunting. Summer scouting with binoculars to determine deer populations and food sources allow the hunter to position himself in the key location. State of the art graphics and animations show the viewer exactly how it’s done. Ron Woller traverses the hills of North Dakota for big whitetail deer in October. Wind currents are ever-present in this country. Learning how to position the stand and how to come and go undetected is a key element in productive hunting. Learn the ins and outs from Ron. Bow hunting at its finest. Don Young, “Summit Accountant” hunts whitetail deer in Southern Illinois with a Knight Rifle muzzle loader. Reading the wind allows Don to come into practical black-powder distance to the deer. Even then it’s a challenging shot. Find out what happens. Finally, John Woller, Jr. hunts a stand of persimmons in TN. It’s an exciting hunt with strategy that will make you think. “Big John” Woller Sr., the founder of Summit Treestands, displays how stands can play a crucial role in successful elk hunting. Southwest Colorado forms the scenic backdrop for this exciting bow hunt. An overlooked method, tree stands can provide the cover and visual perspective necessary to achieve close contact with a big Elk. Learn the lifestyle of the animals from a birds eye view. Malcolm Snyder completes this Colorado elk show with an exciting September bow hunt from a treestand. Learn the subtleties of placing a stand in just the right location for the desired effect. Big elk, hills, and close quarters. It doesn’t get any better than this. Keith Jones hunts NE Wyoming whitetail deer with a bow in late September. The predominate forage is an alfalfa field. But placing a stand is a challenge. Discover how the crew solves this important puzzle. You’re guaranteed to learn something. Lou Horn visits Southern Kansas, home of big whitetail deer. This November bow hunt takes place during the rut. Location is a river bottom where the deer are traveling between their bedding area and the alfalfa field that is their primary food source. Lou does a masterful job of taking advantage of the sparse natural cover. Young William Woller (Will’s son), visits Tennessee for this late January youth hunt. William had hunted a number of times this year but was unsuccessful. This morning was very cold, but not the hunting. Learn valuable lessons for taking young folks hunting. Tori Wilson, daughter of Keith Wilson, Production Manager at Summit, uses a 20 guage shotgun with slugs in this exciting December deer hunt in Illinois. Experience the thrill of this father/daughter adventure. Finally Ryan Bodkin, nephew of Summit’s Scott Echols, hunts whitetail in Tennessee. Learn some of the safety tips important to everyone and especially to young folks in their formative hunting years. Safety and strategy are earmarks of this episode. Lou Horn hunts whitetail with a Knight Rifles 45 caliber muzzle loader. This late December hunt has Lou watching deer move through a funnel area in the woods. While time would not allow him to set a hang-on stand, Lou was able to make the move with his climber. This left the travel path undisturbed. Join Will Woller on an exciting Southwest Colorado Elk hunt. With bow in tow, Will watches the September elk move in front of the hang-on stands a couple of days. Never close enough. A hang-on stand finally allows Will to move closer to the crossing. The result? Grand Central Station! All aboard! Will Woller, in Wyoming, hunts for big whitetail deer with bow. This late September hunt finds Will checking out a water hole. Unable to determine which side to put the stands on, he watches a buck feed on pond grass on the far side of the small body of water. Intelligent repositioning of stands make this hunt a success. Keith Wilson hunts whitetail in southern Illinois with a new 50 caliber Knight Rifles muzzleloader. Scouting and keen observation of animal behavior and tell-tale signs allows Keith to place his stand in a key location. Will the deer cooperate? Keith Jones hunts Tennessee whitetail with a bow in December. This area is along an old logging road that runs through a saddle and feeds into a bedding area. During the rut the bucks move in and out of the bedding area looking for doe. Graphics and animations reveal the strategy. Summit Engineer Scott Echols visits the Show-Me State and proceeds to do just that as he bags a beautiful eight-point whitetail with his bow. This hunt reveals the strategy necessary to take advantage of the natural travel patterns afforded deer in Midwest hill country. Weather plays a key role in hunting. Will Woller bow hunts whitetail deer in the mid-south during October. After it rained all morning, Will listened to the weather report which called for the rain to stop early afternoon. Deer and animals in general become very active after a weather system. Learn how to take advantage. Ron Woller takes us on an exciting Tennessee whitetail muzzle loader hunt. After a cold overnight December rain, Ron uses a stealthy climbing stand to slip into his hunting spot. The deer are active and hungry in the post-frontal environment. Hunt the prairies and hills of America’s bread basket. Will Woller plies Northeast Kansas for big whitetail deer with his bow in November. He’s hunting a dry creek bottom . The bucks are on the move, looking for the females. Expert calling (buck grunting) draws in the deer. South Central Kansas finds Keith Jones also hunting whitetails with a bow. Late fall is a great time to hunt the river bottoms of mid America. Bucks are traveling pre, mid and post rut in their inevitable march of life. 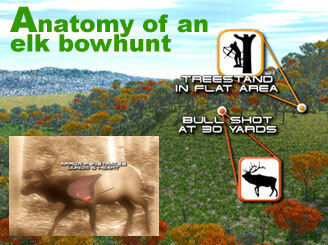 Learn the cadence and strategy of the hunt. Will Woller along with John Sewel hunt Southwest Texas deer with a Knight Rifles muzzle loader. January is a key time for hunting the Lone Star State. Learn the advantages of the new generation of ground stands such as the X-Pod. Along the way, John Sewel talks about deer management and takes a doe with a muzzle loader. He’s hunting from a Predator Pod, another new ground stand innovation. Finally Summit engineer, Scott Echols, shoots a nice December whitetail. Tune in cause you won’t want to miss a minute. We join seasoned hunter, Don Young in Kansas for an October whitetail bow hunt. Don employs savvy understanding of forage to plot his food plot hunting strategy. There’s a lot to plot in this shot! Also we join Will Woller and his buddy Rip hunting pigs in Texas. This is rip-snorting action at its finest with close-quarters and fast paced strategy.